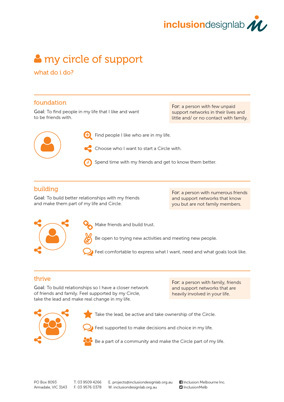 This fact sheet suggests what roles and responsibilities people might have in the Circle. 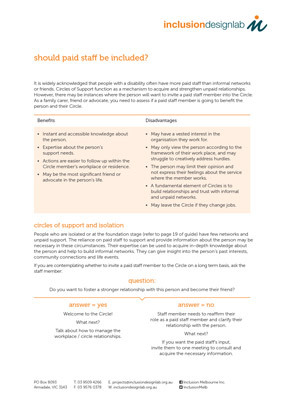 In easy to read text, this fact sheet suggests how to invite new members to a Circle. Should paid staff be included in your Circle of Support? This fact sheet helps you decide if a paid staff member is going to benefit the person and their Circle. 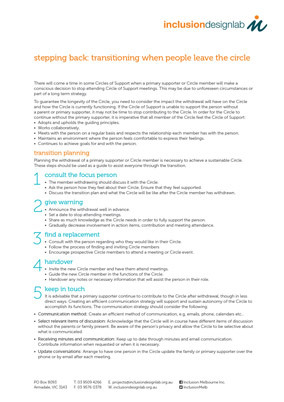 A transition plan for people that may have to step back from a primary support role in the Circle. 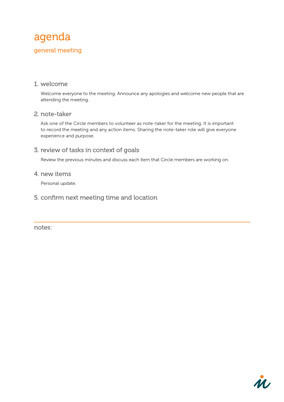 A suggested agenda for a general Circle of Support meeting. 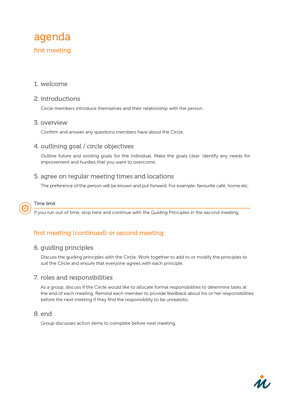 A suggested agenda to help run your first meeting. Circle of Relationships – Who is in my circle? 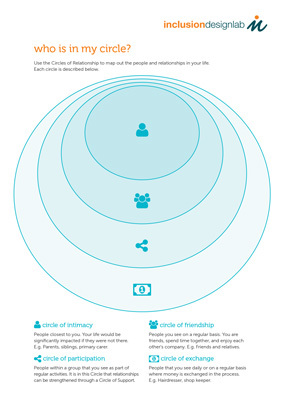 Use the Circles of Relationship to map out the people and relationships in your life. 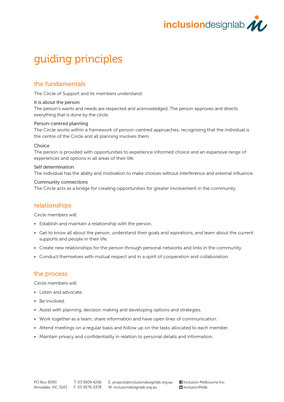 The guiding principles that underpin a Circle of Support. Consent is a fundamental element that informs the Circle of Support guiding principles. 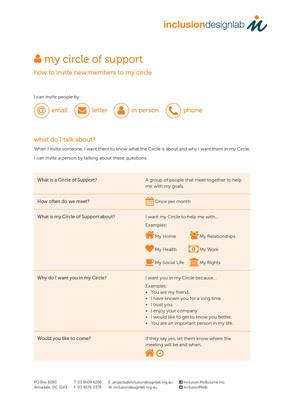 A person needs to give consent for a Circle of Support if it is to be person-centred. What’s the difference between a Circle of Support and a Microboard?